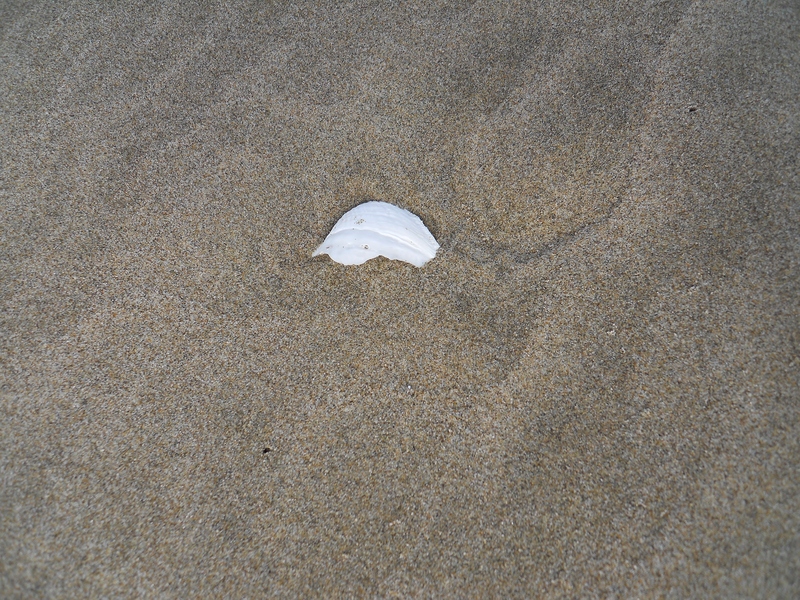 If you have followed my blog for long – or read my “about me” page – you know that I LOVE the beach. Part of what draws me to the beach is the endless variety of texture to be found there. 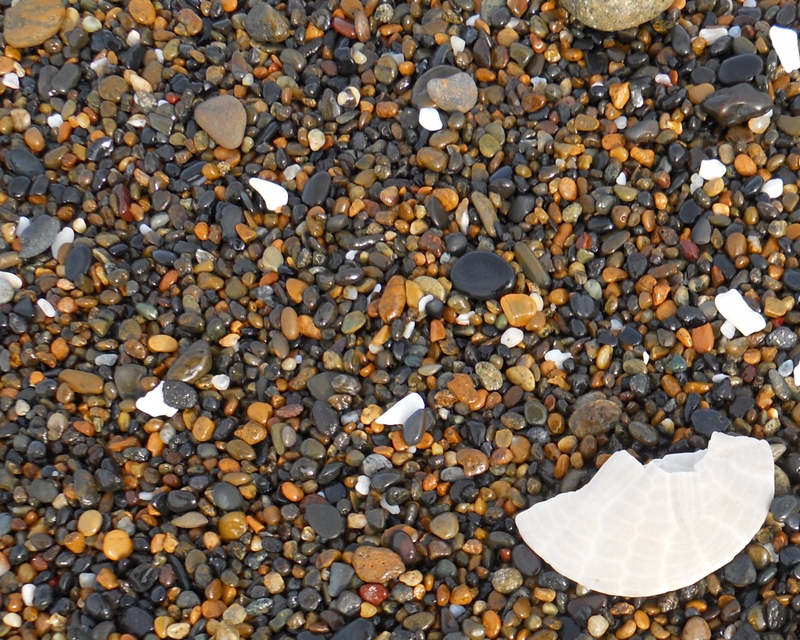 Especially here on the rugged Oregon Coast, the objects to be found on the beach are richly varied, always interesting. I’m always looking for something unusual, something new, something lovely or striking. Texture strikes me. It draws my attention. It is beautiful in its order and in its variety. Visually, as light moves over the surface of an object or vista and the eye detects changes in line and shape, this is texture. As light plays over differences in density within an object, and we see these differences, we see texture. And when the eye travels over a surface and, along the way, discovers changes in the nature of that surface, we recognize this as texture. The pictures in this post were originally published in a Wordless Wednesday in August 2015. There were reasons for choosing these specific photos, so I wanted to revisit them – and to think about the nature of texture. During a ridiculously long walk along this section of the beach in Newport, which I paid for later with complaining, swollen ankles and aching muscles (note to self: no more beach hikes wearing flip flops!) 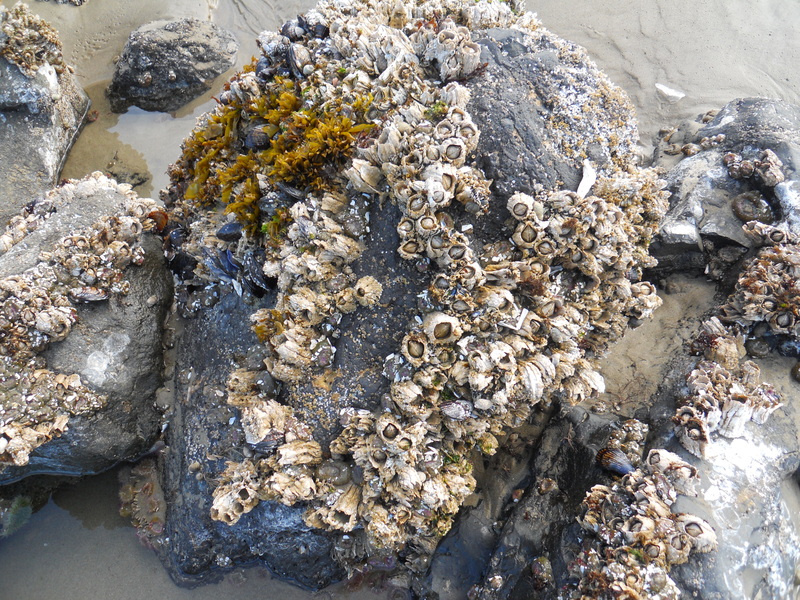 I was the winner in finding amazing textures, such as those in the barnacles and driftwood above. And what about these wind shadows? 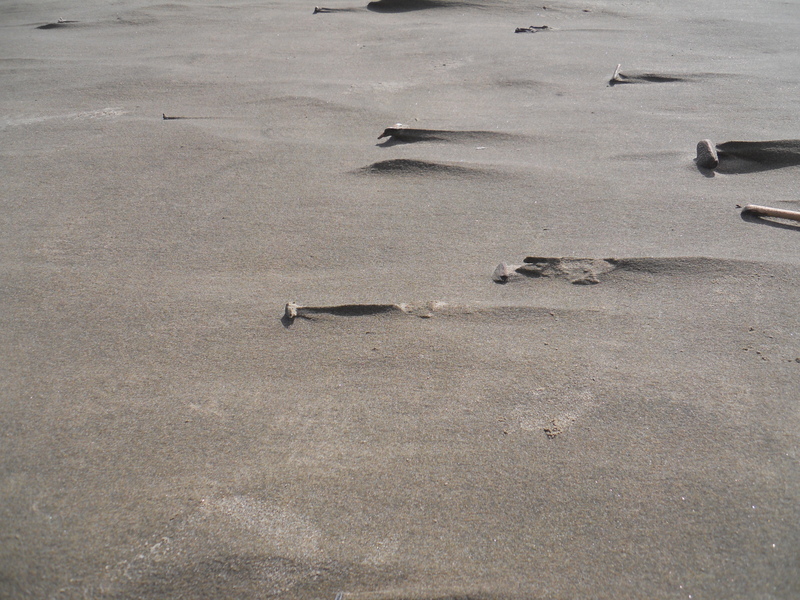 I found them enchanting – sand protected from the wind by small items on the sand blocking the movement of air. This interesting textural phenomenon was all around that day. Fascinating: an object masquerading as something quite different in nature from its own nature. And finally, when I was heading back on that Newport hike, I came upon this impromptu sand and driftwood sculpture. Well worth the price of admission! 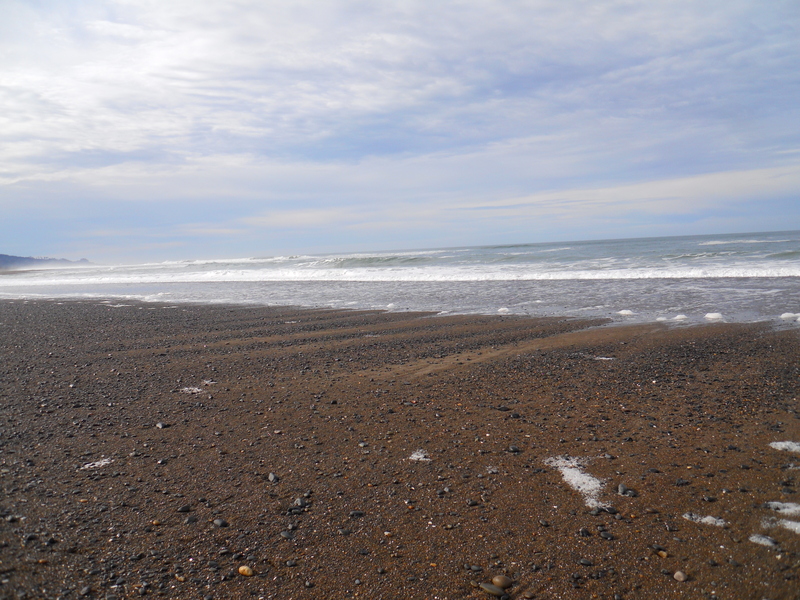 I finally explored the Salishan Spit in August 2014, after having been curious about it for years. It can be seen across the Siletz Bay from the highway, but I had never been there – I couldn’t even figure out how to get there! Finally I did my research, took the eight mile hike, and was mesmerized the entire time. There was something new to discover every bit of the way, from the dark sand (called “tar sand” by some locals) to a desolate “tree graveyard” filled with sunbleached, craggy remnants of an ancient forest. When I returned to Gleneden Beach the following February to photograph the Salishan Cowl for the completed pattern, I was reminded again why this place had inspired this design. 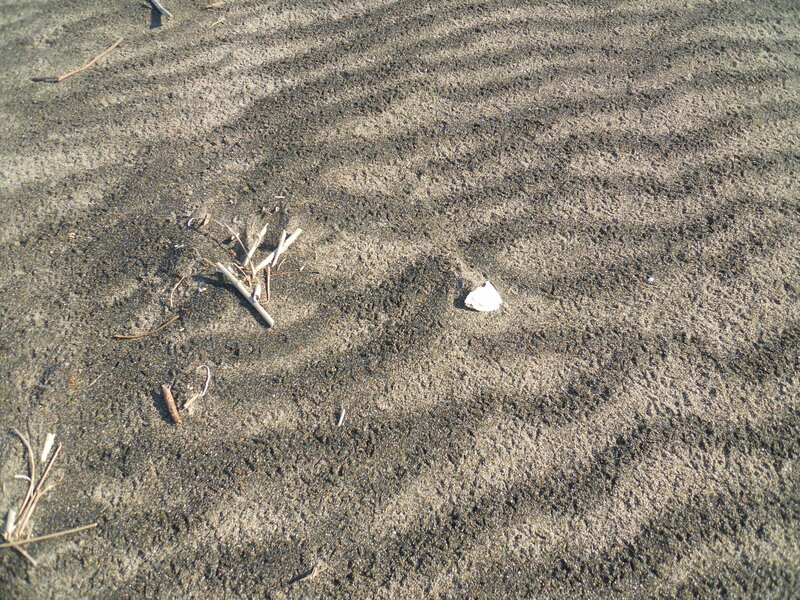 The organic, curved shapes were everywhere, from the clouds in the sky to the patterns in the sand. As my eye finds textured nuances like these, they are filed away in my brain under “inspiration.” And some day, hopefully, bits and pieces of them will reconnect and reemerge – as a new and pleasing design. Beautiful photos, and I love the way you incorporate the textiles into the scene!